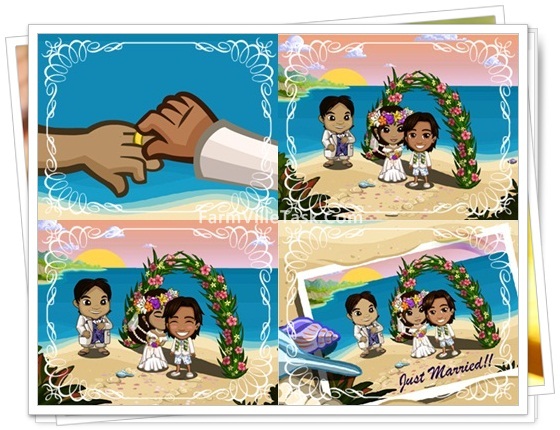 Troy and Maila’s wedding is up on the Hawaii Paradise Quest Chapter 7. Get ready for the harvest time on the plantation and help troy prepare for the Hawaiian wedding by accomplishing 12 tasks and avoid the volcano trouble in Hawaii. Let’s set up Troy for a great Hawaiian honeymoon. This will be not much harder compared to the last chapter where many struggles with the 3 day harvest crop and the huge number of Oysters. There’s no animal mastery requirement. There’s several 2 times harvest Pens, one of the best approach for this is just build 2 pens for each type in the Hawaii island if it will not take to much space in your plantation. Also prepare your Tiki Bar and level it up to prepare for the Hawaiian Kabob (level 5 recipe). Try to craft the low level recipe and recipes which have an easy to acquire bushels to gain experience. Tip: Must have a level 4 Tiki Bar to craft Pineapple Hash and needs Hilo Pineapple Bushel x3, Mussel Bushel x2 and Leek Bushel x2. Tip: Place and harvest the Sun Horse in the Island Horse Paddock for a 1 day harvest. Tip: Must have a level 2 Tiki Bar to craft Shaved Ice and needs Lilikoi Bushels x2, Golden Sugar Cane Bushels x2 and White Grapes Bushels x3. Tip: Must have a level 3 Tiki bar to craft Plantation Iced Tea and needs Yellow Hibiscus Bushel x3, Lilikoi Bushels x2 and Blueberry Bushels x3. Tip: Place and harvest the Best Man Dog in the Island Pet Run for a 1 day harvest. Tip: Seaweed Soup needs Kelp Bushels x1, Oyster Bushels x2, and Spinach x2. Tip: Place and harvest the Bridesmaid cat in the Island Pet Run for a 1 day harvest. Tip: Must have a level 5 Tiki Bar to craft the Hawaiian Kabob and needs Yellowfin Tuna Bushel x1, Taro Bushel x3 and Tomato Bushel x3. Tip: Place and harvest the Bride Dolphin in the Aquarium for a 1 day harvest. Chapter 7 Quest 1 is Harvest 80 Hilo Pineapples not 65.
fyi they changed the requirements for 1 it is 80 hilo pineapple and 50 muscle. It just started for me– Chapter 1 – it’s 80 hilo pineapple and 50 mussels. Do you have updates for all the chapters yet? Thanks! Thanks Guys! Update has been made. Looks like they change the number of crops to be harvested for most of the quest requirements. BTW the quest icon is not showing up in the other farm e.g. Home, LE, WW and EF so just to be safe place and harvest the reward animal in Hawaii Pens. I agree …we need more space for stuff!!! Quest 12 info has Yellow hibiscus has a 16hour harvest but they only 6hour.